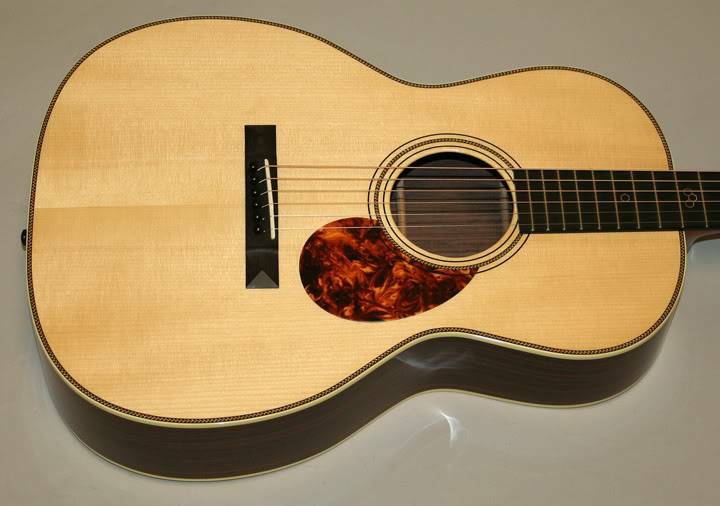 That is one gorgeous custom Breedlove jbosco. 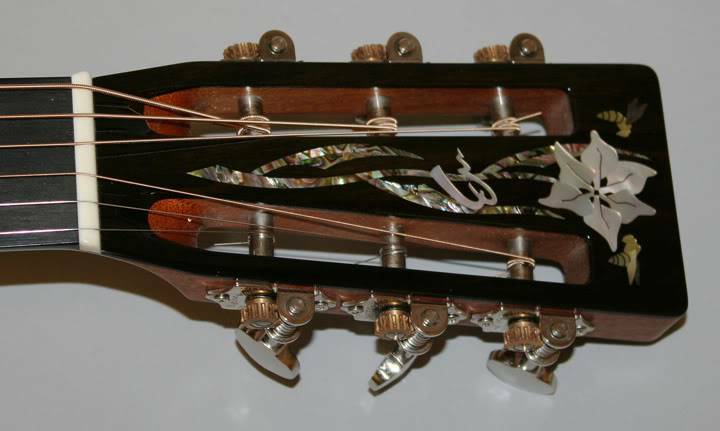 Stunning inlay on the headstock, absolutely love those bees gracing the flower. Proud father indeed. Congrats! MandoSquirrel wrote: Looks interesting. Details? It's a Revival 000-12 Jeff Tweedy Limited Edition Deluxe, based on Tweedy's Revival 000-12 Calender, they made 25 of them, this is #4. Congrats jbosco! She's a real beauty! Tell us, how does she sound? DROOL! AWESOME INLAY AND TOP, LOVE THE BANJO TUNERS, SLOTTED HEAD! YOWSIRRRRRRRRR! THIS IS A BEAUTY! LET's SEE THE BACK AND FRETBOARD INLAYS BETTER! YEAH! Herringbone too! I am a sucker for herringbone. Those are real nice guitars. 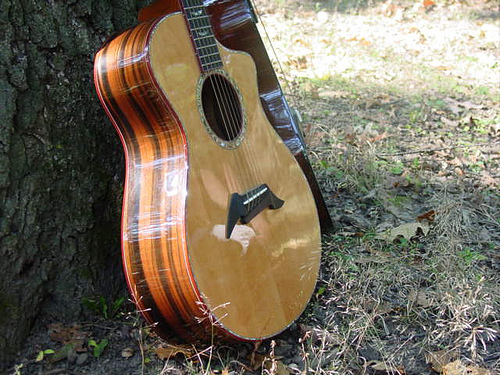 OH my that is one sweet looking guitar. Can we hear what it sounds like? I'm way jealous! How does it compare to the Martin 000-16SRGT that you have for sale? Are you a Jeff Tweedy fan? Or a 12 fret neck join fan? Both? Me, I'm both. WileE wrote: I'm way jealous! How does it compare to the Martin 000-16SRGT that you have for sale? Are you a Jeff Tweedy fan? 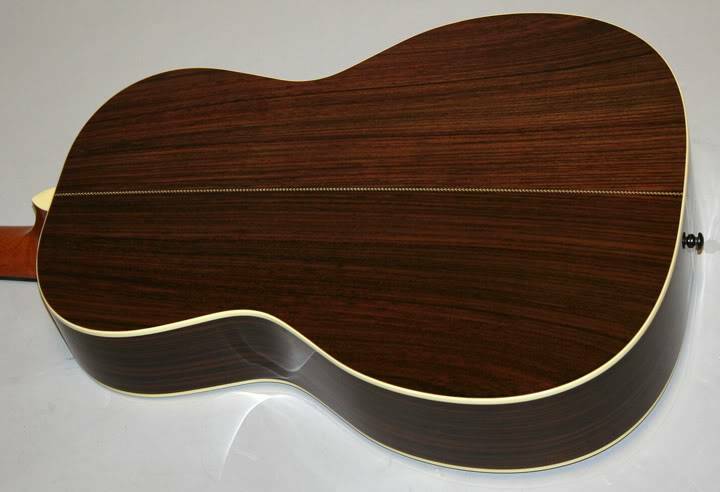 Or a 12 fret 000 fan? Both? I'm a Tweedy fan, I always loved the sound of his 000 12 frets (Breedlove, Martin & Santa Cruz) so one day when I saw the Martin for sale on another forum I picked it up. It was my first non-Dread, and it took awhile to get use to (I'm not what anyone might consider a good guitar player) but a few weeks go by and I found I had completely bonded with it and fell in love, it's such a sweet sound once you know how to handle it. A few weeks later the Tweedy popped up on EBay, I knew it was fate and I jumped at it. As to the sound, they sound very similar (being that they are based on the same vintage Martin you'd expect that) however the Breedlove has a warmer sound and the highs have more of a shimmer (like a Taylor in that respect). I know sound is very subjective, I spent over 25 years as a Sound Engineer and I've been confused more times then I care to remember on what one person considers "warm" or "fat" etc. so I really hate using those terms, but what else can I do. The Breedlove can get that old vintage woody sound too, and you can also lay into it a little harder when strumming, so it's also more forgiving, and believe me I need that. Omegaman wrote: DROOL! AWESOME INLAY AND TOP, LOVE THE BANJO TUNERS, SLOTTED HEAD! YOWSIRRRRRRRRR! THIS IS A BEAUTY! LET's SEE THE BACK AND FRETBOARD INLAYS BETTER! YEAH! Well I don't have any good pics of the inlays, I take horrible pics, the guy I bought it from had these professionally done. But heres a good back one. And I'd appreciate it if you would stop drooling all over my new baby, I would rather spend my time playing her then drying her off. Perfect back and sides. More matter secreting from various glands.